The reason why LinkedIn has been so successful as a B2B social network is because they understand their target market and they know what tools and technologies we want to use, when looking at ways of sharing content on LinkedIn. 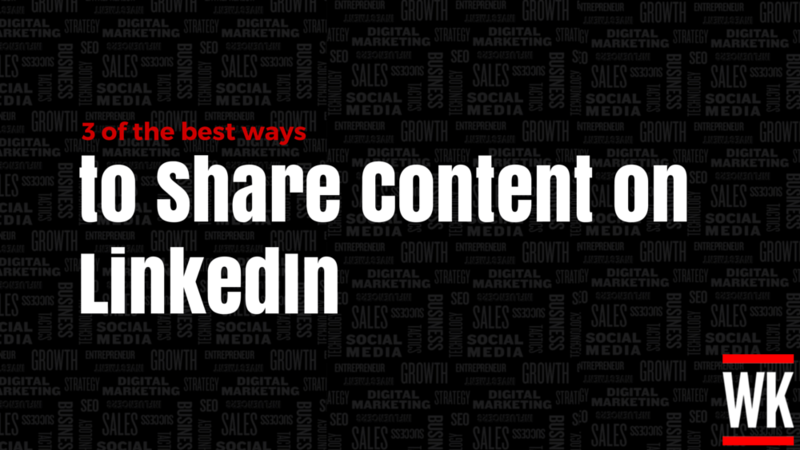 Here are three of the best ways to gather and share content on LinkedIn. LinkedIn has been a leader in pushing content over the past year and it’s latest product showcases this. This is a new tool that allows companies to share content with their employees on not just LinkedIn, but Twitter as well. It is available on iOS, Android and Desktop. Elevate will help you increase engagement and connections within your business by sharing authentic content, directly from you. Elevate will also measure your communities activity to suggest the most optimum time for you to share posts to get the most visibility. You will also have access to analytics so you can see how many likes, comments and shares your content receives. Last year LinkedIn announced that they had acquired Newsle. LinkedIn’s goal has been to inform users about their community, relevant news and any other important information. Newsle is a service that allows you to import your contacts from Facebook or LinkedIn and scans the web to alert you of when you, or anyone in your network has been mentioned on the web. This is a great way to stay up to date with what is going on in your network and to connect with your community when they have achieved something newsworthy. Pulse is LinkedIn’s professional news app which is tailored to your interests. You can customise the news you see so that the content you are sharing is relevant to your industry and those you are connected with on a professional level. You can easily browse thousands of trusted sources, including LinkedIn Influencers and save the news stories that are important to you on Pocket, Evernote or Readability. These are three great tools you can use to share content online. As well as Elevate Newsle and Pulse, you can also use LinkedIn’s Publisher tool. I have been using it since it was introduced last year and have posted close to 100 articles and have had over 44,500 views and thousands of likes and comments on LinkedIn alone. Make sure you use this feature as it is completely free of charge and a great way to share content online.